In the past, professional stock media, especially high quality video, has only been available to large production houses and agencies. Now, with over 2 million clips and counting, VideoBlocks is leveling the playing field for the little guys by making it their mission to provide top level creative content that everyone can afford. It is especially true these days with experts predicting that by 2019, 80% of all internet content will be video. All of the video clips that you download from VideoBlocks are royalty-free, which means that once you have downloaded them, you can use them for as many projects you want without having to pay any additional fees. And even if you cancel your account with VideoBlocks, you can still use any of the footage that you downloaded while your account was active. Let’s jump into the site so you can see what it has to offer firsthand. 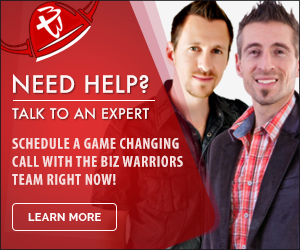 The Video Blocks website is modern and very easy to navigate. On the home page, you have several options to quickly dive in to find the clips you need for your project. Or you could just type what it is you’re looking for into the Search bar. Let’s find some elephants . The search bar allows you to choose to only search from specific content types, but we’ll just search All Media. VideoBlocks also has a Marketplace where you can purchase video stock from individuals who upload separately from the main Members-Only Content that is included with your account. So, if you check that if you want the results to exclude marketplace results that would have to pay for (even with a VideoBlocks account). The cool thing about the search results is that you can hover over the thumbnails to see a preview, and if it looks good and you know that you want it, you can click download and save it to your computer without leaving the page.If you like a video but you’re unsure if you want it, you can save it for later by adding it to a folder. You can choose a folder you have already created, or add a new folder You can add some notes to remind you why you created this folder and to give you an idea of what type of content you have saved inside of it. This is really helpful if you save lot of content to be viewed later. If you click on a thumbnail, it will take you to a new page where you will see more details about the video. From this view, you can also see that there are tags assigned to individual video clips, like categories and keywords. You can conveniently continue a similar search by clicking any of those relevant tags. 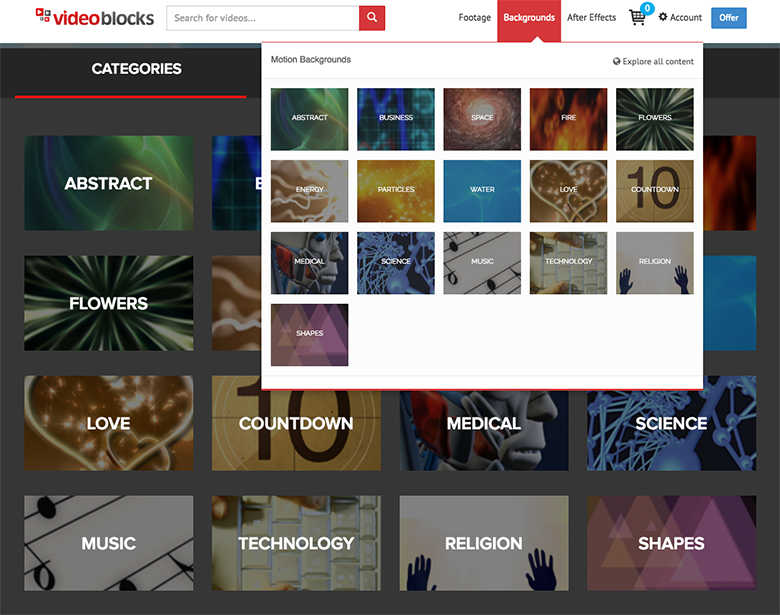 VideoBlocks has an awesome collection of motion backgrounds. These are often used to add life to various sections of your video projects like the introduction, title screens or any other breaks that need extra emphasis. They can be used in other creative ways as well, such as a background for a photo gallery slide show, a coming soon teaser video, or anything else you’re working on that requires a professional motion background. One tip to consider when choosing a motion background video clip is to be sure to find one that loops seamlessly so that your background doesn’t have an obvious beginning and end. Most of the motion video backgrounds that I’ve seen on VideoBlocks are great, but it’s good practice to watch it loop through a few times to be sure it’ll work for what you need. It’s important to note that this section is labeled “After Effects” because the templates available here are specifically to be edited in Adobe After Effects software, so you will need that software in order to use them. 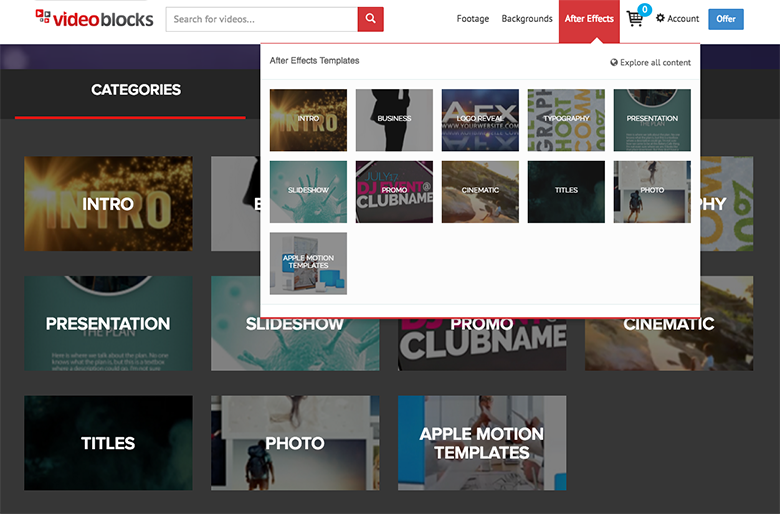 That being said, your VideoBlocks membership gives you access to over 1,000 After Effects templates that allow you to easily add your own text, images, and videos to generate a professional video with amazing visual effects within just minutes. Even if you’re a beginner using Adobe After Effects, these templates come with a help file that walks you through every step of the way, and most of the templates are fairly simple to edit. So, as you can see, browsing the Video Blocks site is very straightforward and you can easily browse a ton of clips in a very short time to help you find that perfect clip that will take your project to the next level. There’s so much professional creative footage at your fingertips and how you use it and incorporate into your own project is limited only by your own imagination. 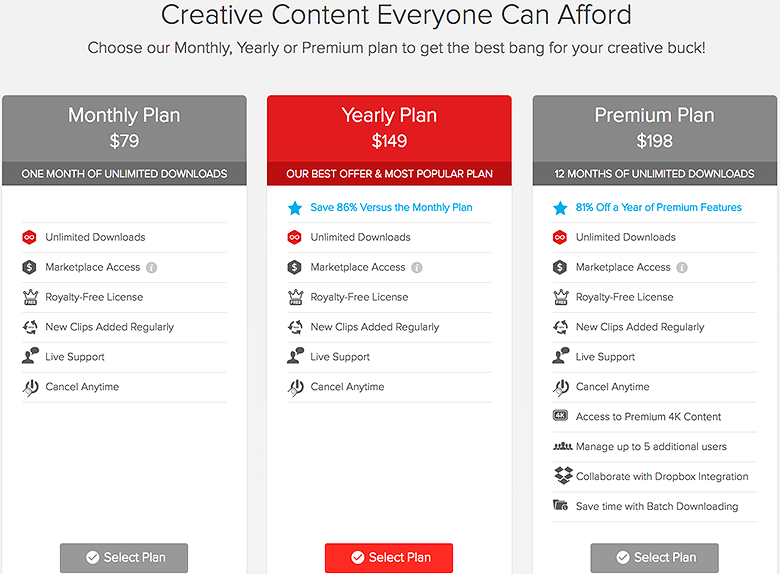 The best deal, and the most popular plan is the yearly option. BUT, we have an even better option for you right now. If you s﻿ign up for VideoBlocks now, using this link, you will get the yearly plan for ​only $99! If you like our review, please share below and also let us know YOUR thoughts on the VideoBlocks stock video service.